Later arrival times are possible in exceptional cases upon arrangement by telephone and after receiving confirmation. 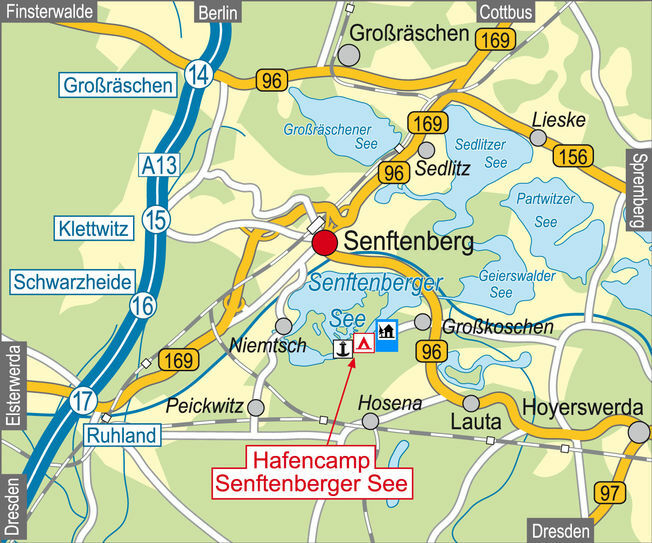 If you are using a sat-nav, please enter “Bergstraße” in Großkoschen. In Großkoschen follow the blue sign guidance system to Hafencamp.